Christmas is huge in Denmark. Darkness and cold wind may chill your bones, but the harshness of winter is kept at bay for another month with candlelight, gløgg, traditional biscuits, nisser and hygge. At my job at International Community, we post a typical Danish tradition every day to ensure that internationals don’t get confused. It has to be said: Danish traditions not to be tampered with! God forbid one would put karrysalat on a fish fillet instead of on the pickled herring. Every day I am in a frenzy to invent a mischief my daughter’s nisser have committed. As an international you move here with your own traditions, ornaments and recipes, which you hold dear and want to pass on to your children. And in my case it is the tradition of Sinterklaas I feel strongly about. 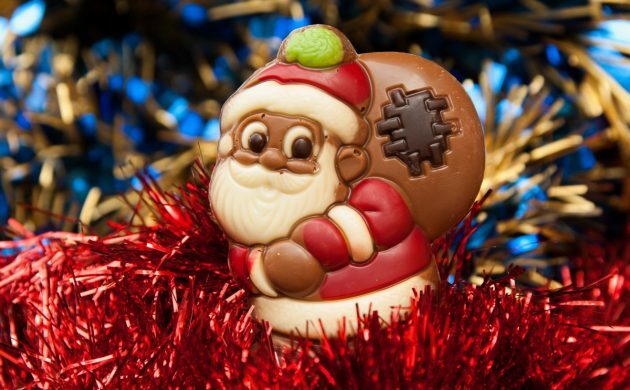 In Belgium, Sinterklaas brings presents to the kids on December 6. As a child I used to spend hours looking at all the pictures in the toy stores hoping he would realise what a good girl I had been during the year so I would get everything I wished for. I would watch on TV as Sinterklaas arrived by steamboat from Spain, and on the evening before I would put out my shoe with my letter to Sinterklaas, a carrot and sugar for his horse, and a beer for his helper. (I guess the beer was my dad’s idea.) In the morning I would wake up early – too early – and check my shoe. And every year the beer was empty, the carrot nibbled upon, and highly-desired toys, sweets and oranges were to be found. Such a thrill! I want to pass on this magic to my children. However, it’s a struggle. The other children don’t come exalted into school on December 6 talking about the toys they have received. And it is difficult to find the right sweets and chocolates. The magic only lasts five minutes and then the Danish traditions come rolling in like a bulldozer, taking centre stage again. By no means do I feel negative about the Danish traditions. It is more a question of how do I keep my traditions and cultural heritage alive while living abroad? Every year it feels like the tradition of Sinterklaas is slipping further away, like sand through my hand. Living in an Expat World: Welcome to Denmark! Living in an Expat World: Denmark – land of the freer?